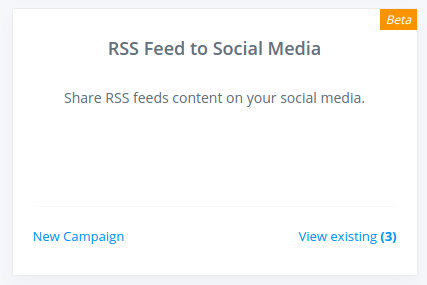 Want to share the content from specific RSS feed URL to your Social Media Channels? You're just a few seconds away now! Select your social accounts and add RSS feed. Once done, save your campaign and your content will be published to your social media channels as soon as it is discovered.